“There are two things more difficult than making an after-dinner speech, namely climbing a wall that is leaning towards you and kissing a girl that is leaning away from you.” Instead of giving this speech I would rather be trying the second option of this quote from Winston Churchill. I grew up in Johannesburg and, after deciding on civil engineering as a career at the age of twelve, I went on to study civil engineering at the University of the Witwatersrand, obtaining the degree in 1975. I later returned on a part-time basis and obtained an MSc under Profs Des Midgley and David Stephenson in 1988. The Class of ’75 were truly privileged to study under the greats – Profs Jere Jennings (’58), Alan Ockleston (’60), Des Midgley (’68), Geoff Blight and Ivan Schwartz (’81). Four of them were SAICE presidents in the years indicated in brackets. It is thus a huge honour to stand here tonight as the 115th president of this esteemed organisation, SAICE. It is indeed a daunting task to follow in the tracks of such great people and the many others before and after them. My journey with SAICE began in 1973 when Prof Jennings told us about the Institution and coerced us into applying for student membership in our third year. In a continent with such great distances separating the members, the viability of the Society [as it was called then] can only be assured by each member contributing whatever part, small or great, he can to its objects and thus share in its efforts to be of usefulness to the profession, and through it to the country in general. 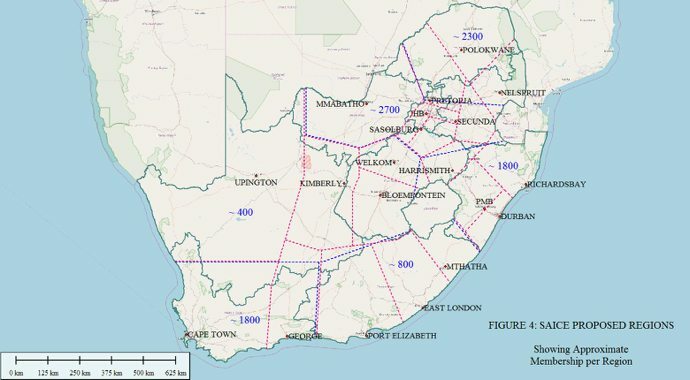 In those days, the membership addresses ranged from Cape Town, Kimberley, London (UK), Krugersdorp, Johannesburg, Port Elizabeth, Salisbury, Durban, East London, Kenya, etc. In his presidential address in 1980, IH Braadveldt commented on the problems of the day facing civil engineers – ranging from the oil crisis, the downturn in civil work, the loss of skills, and the world conflict in the 1970s – but mentioned the better outlook for the 1980s, with a looming shortage of technocrats which could result in graduates having three jobs to choose from. He also indicated that SAICE should (a) give guidance and assistance in the training of graduates, (b) be capable of communicating with decision-makers and others at all levels, and (c) stimulate interest for continuing self-education of graduate members. So, what has changed? I would suggest not much. These quotes from 1930, 1950 and 1980 all have a similar feel to the challenges we as SAICE face in current times. Here are some ideas that I believe our great Institution must explore and implement to ensure our inputs and relevance to our wonderful country South Africa, and our continent Africa. It should be stated clearly that I cannot take credit for all the ideas outlined in this speech. A number of past presidents and other senior members of SAICE have had various thoughts on a range of matters over the years. This proposition is really a collection of the various ideas and an attempt to put them together in a coherent way to take SAICE forward in the challenging times that face our beloved profession. Before I get into the specifics, it is necessary to consider some demographics, as well as the SAICE Strategic Plan. Let us look at where our members are located. The demographic criteria used in this instance relate purely to experience (age) and corporate or non-corporate membership. Graphs 1 and 2, and Figures 1, 2 and 3 indicate a number of matters of concern. 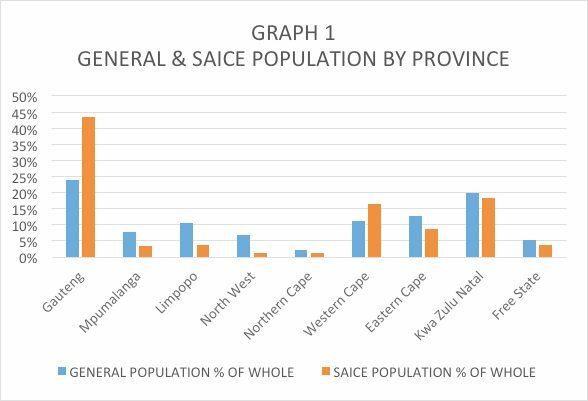 In Graph 1 it is noted that a disproportionately large proportion of civil engineering practitioners live in the Gauteng and Western Cape provinces (in relation to the general population). In Graph 2 it is noted that there is a large proportion of unregistered members in the over-30 age group. It is believed that by age 30 most practitioners should have registered. 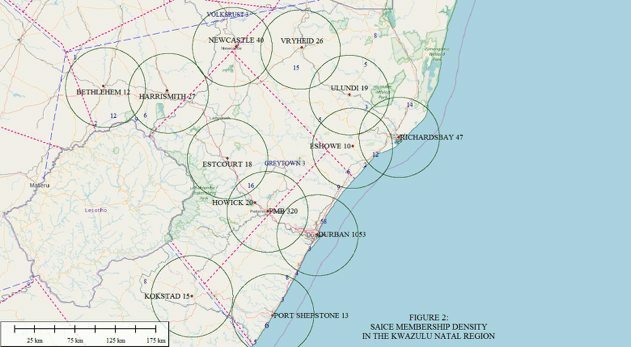 There is also anecdotal evidence that there are large numbers of non-SAICE member practitioners and unregistered practitioners in the smaller towns throughout the country. Some in-depth analysis of membership over the past two years has indicated a number of concerns which have triggered a need to do more for members and our country. 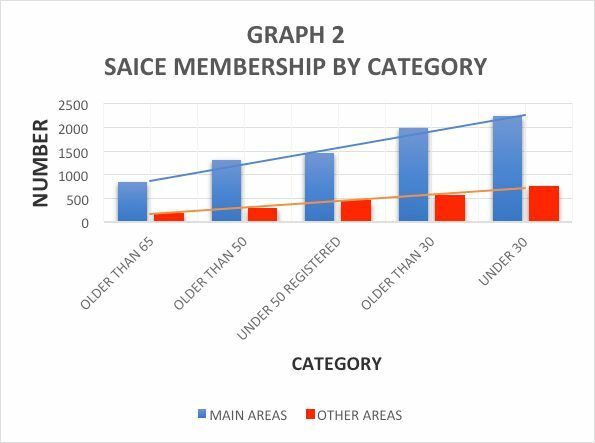 Figure 1 indicates the current 20 branches of SAICE, while Figures 2 and 3 show the membership densities for two regions of the country. In looking at these figures there are obvious member concentrations around the mainly major centres, with lesser member concentrations around smaller areas. Is this any different from the observations of TWW Perry in 1930? Presidential visits and SAICE Council meetings regularly hear from the branches and divisions about the distance to travel and the concomitant difficulty to attend branch events. Considering the transport and vehicles we have in 2017 versus the roads and vehicles of the 1920s, the problem shouldn’t exist. I would suggest that people are the problem rather than distances, roads or vehicles. Doing collectively what cannot be done individually. The thrust of my message is to propose a radical new approach to how SAICE works, to enable addressing the Strategic Plan of 2010. The first part of the proposal is to divide the country into geographical regions which each comprise a few of the current branches. A preliminary suggestion for consideration is shown in Figure 4. Each region would have some form of an office run by full-time and/or part-time staff. At this stage I foresee an administration/secretarial person plus a ‘retired’ engineer or engineers who have a wide general civil engineering appreciation and who are keen to have something to do on a ‘part-time’ basis. The various branches in the region would have a representative on the regional executive (possibly the various branch chairs). One of them could be elected by regional members as a Vice-President of SAICE and would represent the region on Council. Each such regional office would act as a contact centre for the members in that region. Such an office could have a small bookshop, information regarding courses, career information for learners or educators, and could also act as an advice centre for members, students and the public. Such an office could also speak out on local issues, and organise regional awards and local bridge building and water competitions. In view of the current and possibly future issues around registration and the classification of civil engineering sub-disciplines, these offices would also act as a focal point around such matters for the region. For several years there have been muted requests for civil engineering practitioners to be classified as something more specific than just civil engineers, technologists or technicians. This is dealt with more fully in the second part of the proposals. From the brief exposition of the regional office concept it is believed that, in getting SAICE out there, the organisation will be better able to service many aspects of the Strategic Plan. Such regional offices would go a long way towards improving and maintaining the value of membership by taking civil engineering to the remote areas and maintaining SAICE’s health, promoting ethics, acting as an advisor to society, and many of the other requirements. SAICE National Office would enable the participation in international organisations, provide services for registration or certification, CPD, etc, and support the regional offices and branches. 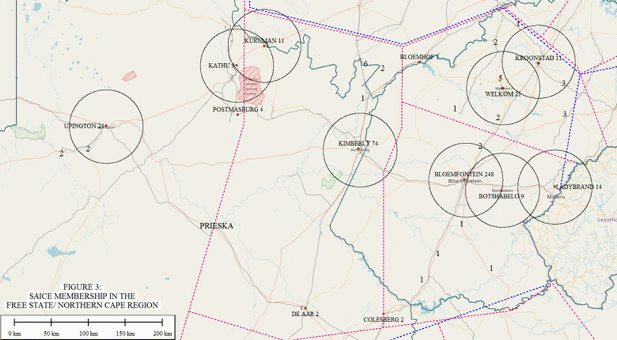 As an adjunct to getting the Institution to the members, a further sub-division of the regional and branch structure is also proposed, namely that where there is a concentration of at least ten or so members (non and corporate) in a geographical location they should be encouraged to get together on an informal basis as a sub-branch or informal branch of the nearest active branch. 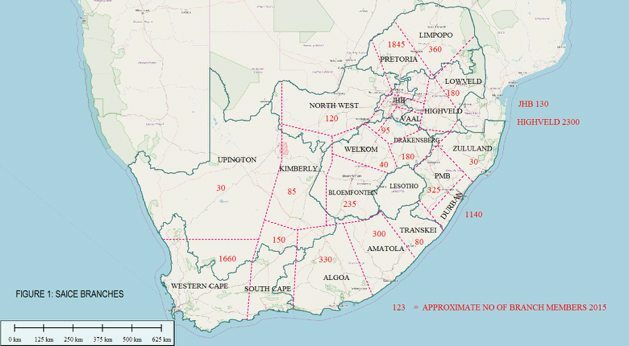 A preliminary scan of the membership data indicates that such sub-branches could number at least 125, scattered around the country. Examples of such concentration are indicated in Figures 2 and 3. Depending on the makeup of membership in such a sub-branch, some form of ‘mentoring’ by a senior member from an adjacent town might be required. Such a group would hopefully gather regularly, but informally, to discuss common issues, network, mentor younger members, socialise, and assist to get events such as the bridge building and water competitions, and career guidance initiatives out into the country. How fantastic would it not be to see a team from Kakamas take on a fancy school from Gauteng. The regional offices would provide organisational support to such groups. The second aspect of the discussion that needs unpacking is the concept of registration and licensing. In view of the current system’s bottlenecks and challenges, an alternative system of registration or certification is proposed which would bring together various thoughts and suggestions that have been proffered over the past years by numerous persons who have seen and warned about the worsening situation. Firstly, and this is where regional offices would play a major role, is to provide a comprehensive guidance and assistance programme (mentoring) to young members and their employers (a type of mentor contact centre). This is being done to some extent by a number of employer organisations, but there are definitely gaps that need action. On completion of the training period SAICE would issue a certificate indicating that the person had successfully completed a training period and meets certain prescribed requirements for registration by a statutory body. 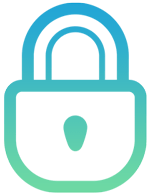 As a further service it is envisaged that SAICE would offer an advanced certification system of membership (in response to the requests noted previously), which would typically be available to corporate membership. This would enable members to be certified in sub-fields of the broad civil engineering profession that we all operate in. One cannot get too specific, as there are even sub-fields within sub-fields – for example geometric/pavement/transportation, etc, in roads engineering, or steel/concrete/industrial/commercial, etc, in the structural field. It is thus proposed (initially at least) that such certification be kept to the main fields, such as transportation, water, geotechnical, structures, environmental, construction, academic and general. Many of our members, particularly in smaller firms and country offices of larger ones, work on several projects in several of the sub-disciplines, and this must also be borne in mind. It is further proposed that such certification only be considered after the initial statutory registration as a professional. No particular timeframe is envisaged, as persons often take many years to initially register. One possible solution would be to allow application after at least eight years of appropriate experience and professional registration. This again is where the regional office concept would play a vital role. Each such office would have a panel of experienced senior members who would interview the applicant and make a recommendation. Ladies and gentlemen, this is not the place for details. This presentation is only a summary of the path that SAICE needs to embark upon in a phased and structured manner. Due to the urgency of some of the matters, certain aspects have already been discussed and debated in various SAICE forums, and will continue to be discussed and formulated with both the SAICE membership and other likeminded organisations in the weeks and months ahead. To paraphrase the late American President John F Kennedy: The new frontier of which I speak is not a set of promises, it is a set of challenges. It sums up not what I intend to offer the SAICE membership during my year in office, but what I intend to ask of the members. This in summary requires that, (a) the organisational structure of SAICE be changed to effect getting closer to the membership, and (b) an expanded system of guiding or mentoring members from learner/student and graduate levels to registration/certification and advanced certification of some sort be implemented. This short address is an attempt to put together the basic pieces of the 360 degree jigsaw puzzle that SAICE must become, and to share my vision for the years ahead. Sponsor of the presidential inauguration.